With regret I have to inform you that after this week's extraordinary shareholder meeting the management of SellanApp had to file for bankruptcy. At this meeting it became clear that the financial situation of SellanApp had deteriorated due to a combination of insufficient cash generated and mounting debts. The management informed the shareholders that continuation of the service was no longer feasible unless an immediate and substantial injection of capital was provided. As none of the existing shareholders was willing to provide this extra capital, it was decided that a filing for bankruptcy was the only option left. The service of SellanApp wil therefore be suspended, and the responsibilities handed over to an executor. For over 12 months now, SellanApp has been seeking additional finance to secure and grow its operation. This, including the last campaign on Symbid targeted to raise EUR 150.000 in thee stages, proved unsuccessful. As the increasing operating losses could not be covered by additional financing, SellanApp was now forced to suspend its service. The management of SellanApp will work together with the executor to minimize the (financial) damages for all parties involved. As chair of both the SellanApp Cooperative U.A. and SellanApp Cooperative 2 U.A. I will keep you informed about this process. As all will be handed over to the executor, I will not be able to answer any further questions at this point. As soon as the contact details of the executor are known, I will forward these to you so that any questions or claims can be directed to him. Again I'm very sorry that I have to communicate this message to you. Symbid is very sorry to hear that SellanApp was forced to discontinue its services despite all the hard work of all the people of SellanApp to make this company a success. Symbid very much regrets that this happened. SellanApp has filed for bankruptcy. 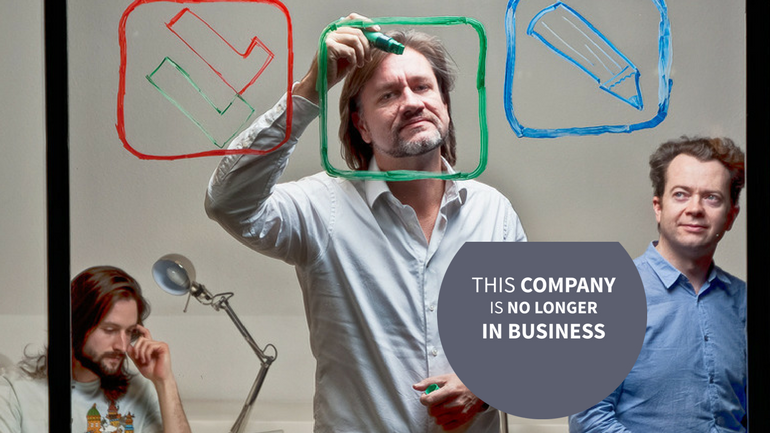 This is the first time a company funded by Symbid crowdfunding discontinues its services. Approximately half of the capital that was invested in two SellanApp crowdfunding campaigns at the Symbid platform has been invested by SellanApp's own network (Friends, family), while the rest has been invested by the Symbid network. Currently over 200 mobile apps are downloaded per second with an average sales price of $3.64 The average revenue per app is estimated to be $4.3K. All these metrics are forecasted to grow at exponential rates for the foreseeable future. Although Apple Inc. is market leader, similar ‘App Store’ models have been successfully developed by Google and Microsoft among others. The total app Market is estimated to be worth over $25 billion in 2015. It is expected that the market share of off-deck (independent) app stores will grow rapidly, so that app developers will have to embrace the increasing complexity of multiple app markets. The app Market is seeking solutions to improve average App quality and visibility, while a lot of consumers and businesses are prepared to enter the market, not only as consumer but also as creator. The market will be more ‘complex’ due to fragmentation. We at SellAnApp believe that there is a huge creative en entrepreneurial potential available in the community of consumers and small to medium businesses not holding resources (knowledge, funds) to successfully develop apps themselves or by third parties. (2) Innovative crowd driven platforms like SellAnApp offering online development, funding and promotion and monetizing tools to consumers and businesses alike. Targeted ‘go live’ date for the public beta service is Q2 2012. Start of the private beta program is scheduled for Q4 2011. September 14th SellAnApp will publicly announce the upcoming service aiming to obtain a large number (>5K) of subscribers before ‘go live’. Hereto SellAnApp will announce the availability of a $1 million virtual fund to be shared among the top referrers and redeemable by offering an extra initial revenue share of up to 2% for producers and an amount of $1,000 of funds available for subscribed believers/investors to pledge in the designs of their choosing. A live event will be organized at the ‘Capital on Stage’ event effectively positioning SellAnApp among the top European start-ups while creating visibility among the top Investors present. The announcement will be broadcasted via all appropriate (social) media channels including Facebook, Twitter, You Tube, partners and press. Did you ever had a great idea for a mobile app? Did you find out quickly that it was a bit complicated to become a developer and bit expensive to hire a developer? SellAnApp is a place on the web where everybody can make their ideas for mobile mobile apps a reality. With SellAnApp you can become a producer of apps with all the creativity, knowledge and funds you need available at your fingertips. You start designing the app by telling stories. Stories can be ideas, doodles, screenshots, sounds, prototypes, mockups or even working apps (if you already have one). In short everything to make clear to the SellAnApp community what your ideas about the app and the user experience are. On SellAnApp a lot of app lovers, designers, artists and other ‘wizards’ will follow your ideas. They soon will help to transform your first ideas into a complete ‘app design’. You can award loyal wizards by adding them to your production team and grant them part of the revenue your app will make. Next get a crowd of believers to back your design. ‘Investors’ we call them at SellAnApp. Share your design to all of your friends and their friends. If they like your app-idea, they can pledge funds for the development of the app, and in return get a share in the revenues. We at SellAnApp connect you with a crowd of app lovers, from the individual believer to respected professional investment funds and local businesses that support your interests. When there’s enough funding, we at SellAnApp will take care of the development. We love making apps and we have the skills and resources to transform your idea into reality. After testing by the the test team appointed by you, we will place the app into the appropriate app-store(s). Now to make your app a success, SellAnApp and it’s network of partners will help you promote your app through various channels. Finally, all revenues your app generates will be cleverly shared between your team-members, your investors and SellAnApp. In a nutshell, this is how it works! Please refer to the enclosed Q&A (filed under 'media') for more detailed information about SellAnApp. The founders of SellAnApp invite members of Symbid to co-fund the total seed capital required (€150K) on behalf of SellAnApp against terms disclosed in the enclosed ‘Term Sheet’. You can either invest via Symbid for a minimum of EUR 20 wich gives you 12,2 prefs for a share of 0.0073% in the preffered. If you’re interested in investing direclty, please contact the Founder directly via a@sellanapp.com. Please refer to the enclosed 'Investment Proposal' and 'Investering Voorstel in gewoon Nederlands' (Dutch) for key financial information.